Good Wednesday morn Widdershin friends. For those of you who have tuned-in for Madam’s regular, always brilliant “Activist Wednesday,” I’m sorry to report that you are stuck with me while she is on a well deserved vacation. While I can’t hold a candle to Madam’s stirring calls to action, I thought since the date is 7/11, I would offer something a little different. Instead of my pedantic exercises in verbosity, since the date is 7/11, I would ask you what are some of the best stories you have about “convenience stores.” Given that convenience stores have become to Americans what the great piazzas of Italy are to Italians — great amalgamations of humanity — I thought it might be entertaining to hear from you about your escapades, travails, or funny happenings at what has become the crossroads of humankind stocked with jerky, Big Gulps, and fruit fly incubators masquerading as overripe bananas. Another instance was driving with three friends from Lincoln, Nebraska, to Kansas City, Missouri, for a Bruce Springsteen concert. We wheeled into a convenience store in St. Joseph, Missouri, to gas up and grab something to eat. 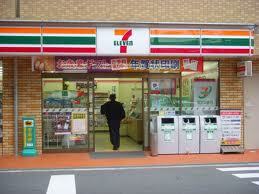 While I pumped the gas my friends went into the convenience store. 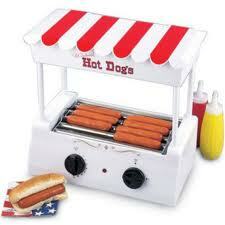 When I joined them they were congregated around the hot dog rotisserie just silently staring with blank faces. In my pre-Boss concert giddiness I asked, “What’s up?“ They spoke nary a word, but merely pointed to the hot dog spinner. Now forgive me, but there is no delicate way to describe what I spied spinning there along with the hot dogs — it was some local concoctions that for the life of me looked to be for all intents and purposes — turds. And there they were, just happily spinning away along with the hot dogs. This being St. Joe and all, I took it as a sign so I bought several packages of potato chips thinking I would surely see a picture of Jesus fried into one of the Ruffles, but alas, it was not to be. As for food, we waited until we arrived in Kansas City and happily dined on dead cow. So what are your convenience store stories? Don’t be shy since one time I found myself locked out of my car because I had unfortunately dropped my keys with the remote into the not so clean toilet of a convenience store. Let’s hear your stories.